An icon can be a pretty graphical four letter word. icon: a sign or representation that stands for its object by virtue of a resemblance or analogy to it. Two icons came to mind to me this morning. The first was word that today marked the 30th anniversary of the online emoticon. Although there had been graphical representations of smilies and such before, today is recognized as the day in 1982 when it was first proposed as part of an online forum. It stuck. Oh, did it stick. I tend to use a smilie that is rather different than most. I prefer a somewhat crooked smile that points in the other direction. I don't remember how I started this habit, but at this point I really have little interest in changing it. Even more so now that many systems turn the text representation into a graphic image. There is even a standard Unicode character block representing a set of emoticons. 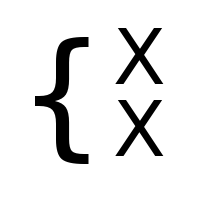 The other icon for today, of course, is an X. As in "X marks the spot". As in today is the 10th annual International Talk Like a Pirate Day. You better believe it, matey, or ye be walkin' the plank.